NEW YORK : According to recently conducted studies, the global demand for plastic pipes is expected to grow significantly in the coming years.The demand is expected to grow at annual rate of 6.2% from 2012 to 2017. The growth in demand is significantly higher when compared to the period between 2007 and 2012. The global demand is forecast to touch peaks of 23 million metric tons by 2017.The study identifies various factors favoring the huge demand growth. First and foremost, the US housing sector will witness excessive demand surge. The low cost factor and the ease of installation make plastic pipe the preferred choice among its competitors. The key demand growth is expected out of the construction industry. Polyvinyl chloride (PVC) has been the undisputed leader in the plastic products industry for many years. The market share of PVC is more than 55% currently. 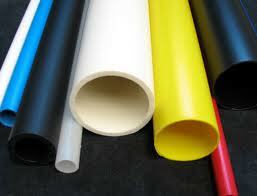 But the study points out that High Density Polyethylene (HDPE) may emerge as the market leader. Increased use of HDPE will be witnessed in potable water distribution applications. Fiber glasses are another category which is poised to become more universal in the near future. The realization of new water and wastewater network in developing countries will see increased use of large diameter plastic pipes. The water distribution and the sewage/drainage networks in developed countries have been established years back. Times have come to replace the crumbling infrastructure. The large diameter plastic pipe is the apparent choice owing to its low down cost and ease of installation.Process manufacturing applications will see increased use of HDPE and Fiber glasses. The growth in manufacturing activity, oil drilling and natural gas production will boost the demand for plastic pipes. Large distribution networks utilize plastic pipes, thereby helping the industry to grow at a faster pace.